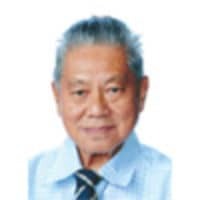 Chairman of ISS International School, Mr. Chan was one of the first generation of PAP Members of Parliament serving in the Singapore government from 1957 until he retired in 1984. When he retired, he held the position of Senior Parliamentary Secretary. He then entered the field of education and became the chairman of various international school boards. Mr. Chan founded ISS International School in 1981 and, in 1994, the Beijing BISS International School. Mr. Chan is a firm believer and driver of the school’s multi-cultural educational ethos. Mr. Chan is a manager under the Private Education Act. 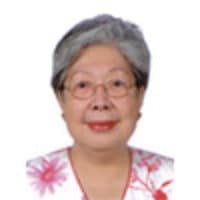 Mrs. Chan attained her Bachelor of Pharmacy (Hons) from the University of Singapore, and her Master of Pharmacy from the University of California (S F Medical Center). 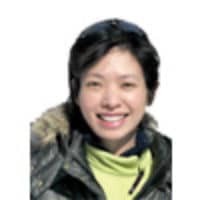 Prior to assuming this role, she was the Head of Pharmaceutical Manufacturing and Pharmaceutical Purchasing Departments at the Ministry of Health, and later, the Head of Pharmacy Department at Singapore General Hospital. She has transferred her broad management experience from healthcare and pharmacy to education. Mrs. Chan is a manager under the Private Education Act. 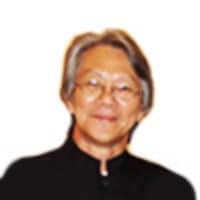 In the early 2000s, Mr. Lim was the Programme Coordinator with Beijing BISS International School, teaching a Special English Course to the staff of the Beijing Television Station. Today, Mr. Lim is a linguistic consultant in a publishing house and teaches English in a tertiary institution. Deputy CEO of the Beijing BISS International School, Ms. Chan started her career with the Development Bank of Singapore. 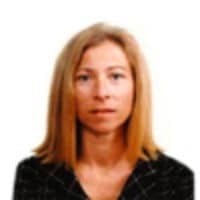 She was responsible for the banking needs of corporate clients and later managed the syndication of loans and the bank’s overseas branches when she moved on to international banking. 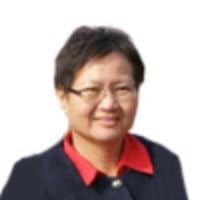 In preparation for the challenges of work in the field of education, Ms. Chan received a Masters in School Counselling from the University of Buffalo, the State University of New York (SUNY Buffalo). She has spent time in all the schools and campuses under the Group, and is involved with the work in various departments within the schools. She has been a part of the ISS International School board since the mid-90s. Ms. Chan Mun-E is a manager under the Private Education Act. Mr. Leong was a veteran journalist who started his career as a reporter with the Singapore Armed Forces’ monthly Pioneer magazine in 1975. He joined The Straits Times as a bilingual reporter in 1977 when the paper launched its bilingual page. Later, he moved to write news reports and features for the local, China, foreign, and political desks, as well as the Life! section of the paper. He was one of three senior journalists from the paper tasked to write the book, Men In White, The Untold Story Of Singapore’s Ruling Political Party, which was published in 2009. He later became a senior writer with The Straits Times, but is now retired. 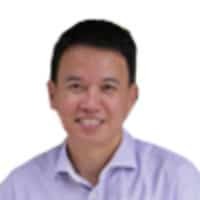 He has a Bachelor of Arts in Chinese Language and Literature from Beijing Normal University, and a Master of Arts in Asia Pacific Studies and a Master of Arts in Contemporary China from the University of Leeds and Nanyang Technological University respectively. Ms. Kaylor has been the Director of the US Education Information Center (USEIC) in Singapore since 2003. USEIC is the official US Department of State EducationUSA office for Singapore. EducationUSA officers provide comprehensive, unbiased, and timely information about higher education opportunities in the USA. She possesses a Master’s Degree in Political Science and Public Administration and has worked in US higher education both as a university lecturer and in university admissions for over 25 years. Ms. Kaylor has lived in Singapore since 1990. She is a member of the Overseas Association of College Admissions Counselors and NAFSA: The Association of Foreign Student Advisers and has presented papers at both conferences. Ms. Kaylor has toured more than 200 different US college and university campuses and is well versed in accentuating commonalities and differences among the more than 4,200 degree granting institutions in the US. Mrs. Lee graduated with a Bachelor of Laws from the University of Singapore in 1977 and went from legal practice to education in 1988. She worked in administration and as registrar of the independent Singapore Chinese Girls’ School until 2007. During that time, she took on the school redevelopment programme and the mentoring of international scholars there. She also served on a Ministry of Education external Evaluation Team for School Excellence. In 2008, she joined ISS International School as its Director of Administration, retiring from the position in 2010. Julie has continued to provide consultancy to the ISS International School Group since. Her interest in education takes her to serve a local charity benefiting disadvantaged female students. Dr. Chia is a Senior Consultant in General Surgery and Vascular Surgery. 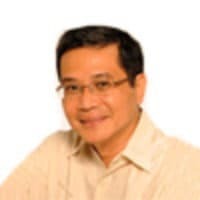 He graduated from the National University of Singapore in 1986. 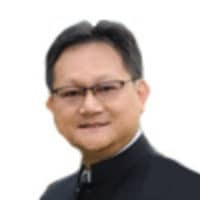 He started in General Surgery training in 1989 and exited in 1996 after which he embarked on Vascular Surgery Training in 1996 at the Singapore General Hospital. He was awarded an HMDP fellowship in Vascular Surgery in 1999-2000 at Monash University in Melbourne, Australia, where he was trained in endovascular surgery and renal transplantation. He was appointed Associate Professor at the Yong Loo Lin Medical School at the National University of Singapore in 2006. He became the Deputy Head Department of General Surgery at Tan Tock Seng Hospital in 2006. He has been in private practice since June 2009. 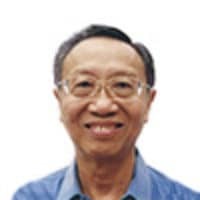 Mr. Charlie Chan worked for many years with the Pharmaceutical Manufacturing and Purchasing Departments at the Ministry of Health and the Singapore General Hospital. After his retirement from the civil service, he joined the Beijing BISS International School as its Facilities Manager and held that position for more than 20 years. While in Beijing, his extensive knowledge of Chinese government regulations, good relations with the municipal offices and the local community enabled him to effectively promote BISS’ interests in the area where it is located. He stepped down from BISS International School in 2014 and was subsequently invited to serve on the ISS International School Board. He has been on the ISS International School Board since November 2015.